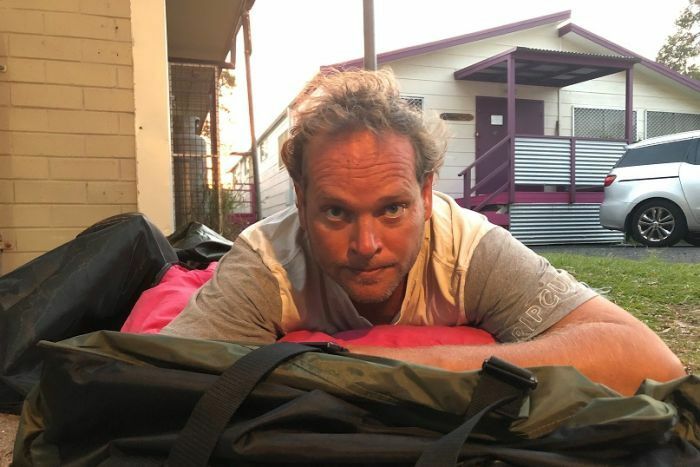 A Sunshine Coast man, diagnosed with cancer for the second time and forced into homelessness, is in the sights of the local council for illegal camping. A policy that sees council workers treat homeless people sleeping in vehicles as “campers” means, instead of attempting to recover from his intense cancer treatment and sleeping for no more than two hours a night, Mark Wadeson is moved on and warned he will be fined if seen again. 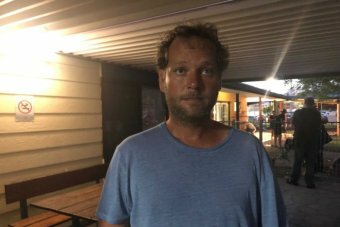 He is just one of many men on the Sunshine Coast whose plight is made worse by the fact that the nearest shelters or emergency accommodation for men are 100km away — in Brisbane or Maryborough. Mr Wadeson was running a business and volunteering as a justice of the peace when he was diagnosed with advanced groin cancer in September last year. His diagnosis, timed alongside a failed business attempt, and being told he could no longer work or study, caused him to lose his home and end up on the streets. “We knew I was sick for a while, I actually got diagnosed mid-September  and was operated on in October. That’s pretty much when I became homeless,” he said. “Following that I had radiation, I’m currently doing immunotherapy, and suffered a lot of setbacks. He said a drug company chose to fund his treatment to show that it would work for cases like his. “Advanced stages like myself — not many people are on it. Mine’s metastatic … in the groin you don’t get much more serious than that till you hit the terminals,” he said. Doctors told Mr Wadeson he needed to spend the months ahead recovering from his intensive treatment. 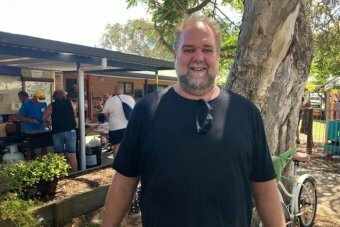 But, with no homeless accommodation for men on the Sunshine Coast, he soon realised he had nowhere to go, with family living hundreds of kilometres away. Mr Wadeson said he initially slept rough before a Christian charity gave him a car to sleep in. “I started out sleeping on the pier at Cotton Tree, to the back of a ute that I borrowed, to verandas of sporting complexes, and I was given a vehicle recently by a church to sleep in,” he said. Due to his condition, Mr Wadeson said he needed to be situated near a toilet throughout the night, while he recovered from the effects of his cancer treatment. However, he said this had been made impossible after being woken by council workers in the early hours of the morning and warned he would be fined if he was found sleeping there again. “On Friday night, Saturday morning, after it finished raining they went around knocking on everyone in the area,” Mr Wadeson said. “So that was council’s little ‘Congratulations you’ve managed to sleep in a vehicle, we’ll fine you if we see you here again’. When questioned about the treatment of homeless people sleeping on the streets and in cars, the Sunshine Coast Council gave this response. 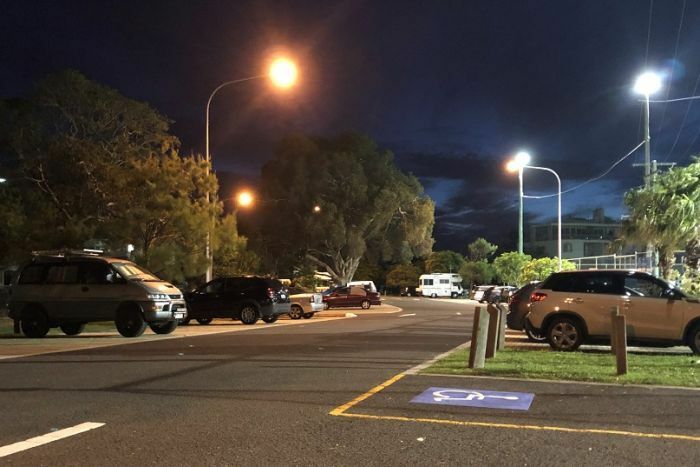 “Sunshine Coast Council responds to requests from the community about people camping illegally in public spaces, such as car parks and parks,” the statement said. It said homelessness was a State Government responsibility. However, Mr Wadeson was offered no such information and instead issued a warning for a fine. In a statement, the Department of Housing and Public works did not respond to specific questions regarding the current lack of shelters and emergency accommodation on the Sunshine Coast. It said it was addressing homelessness by providing a homeless hotline, funding for homeless services, and planned to build affordable social homes on the Sunshine Coast. The department said it “prioritises people who are homeless, or at risk of homelessness. It’s hard to be at your very best without a safe, secure roof over your head”. 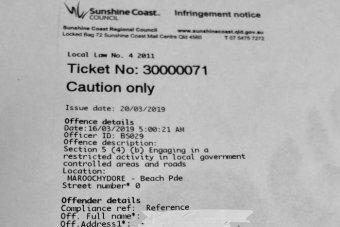 According to a local community worker, Mr Wadeson was just one of approximately 1,600 people sleeping rough on the Sunshine Coast, and just one of many who have fallen victim to such treatment at the hands of Sunshine Coast Council and police. 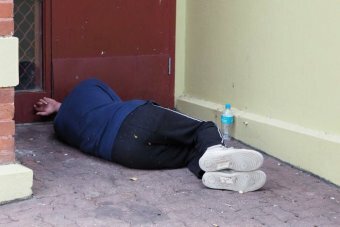 Mark Ellis from the Maroochy Neighbourhood Centre said homeless people had long been moved on at all hours of the night, regardless of their health conditions, or back story. He said he knew of another man who, after undergoing hip surgery, had to lie on concrete slabs out of the public’s eye, in order to recover, or risk being moved on. “The guy can barely walk and the same thing happens to him,” he said. After Mr Wadeson spoke with the ABC, other homeless people have came forward to say they had also been issued formal notices from the council. According to Mr Ellis, the council was only exacerbating people’s situations and often caused their mental health to decline due to sleep deprivation over weeks and months. “They are moved on day and night,” he said. “I often hear people telling me that homeless people are aggressive. It’s not that they’re aggressive — it’s just that they are sleep deprived. Mr Ellis said these people spent a lot of time “just walking or moving around trying to find a place they can actually sit”. “We seriously treat our animals better than we treat our people. “If there was a homeless dog on the street, we would come up give it a pat give it a feed, even look at taking it home, give it a check, make sure it’s OK, or if not get it to a shelter where it would get fed, get a bed, get a vet to check it over. Mr Ellis said no level of government wanted to help. “Council doesn’t want to take responsibility, the State Government says it’s not up to them, and the Federal Government is not giving anything to it. Even looking at this year’s budget — nothing about homelessness,” he said. “We as a community need to stand up and say enough is enough, we need to actually change the way decision makers think, because at the end of the day, they’re not thinking about homelessness, they’re thinking about what’s going to get them over the line [come election time].